Sherwin-Williams has updated its concrete and masonry line to help make selecting the perfect product for every project even easier, while retaining formulas that pros can rely on. 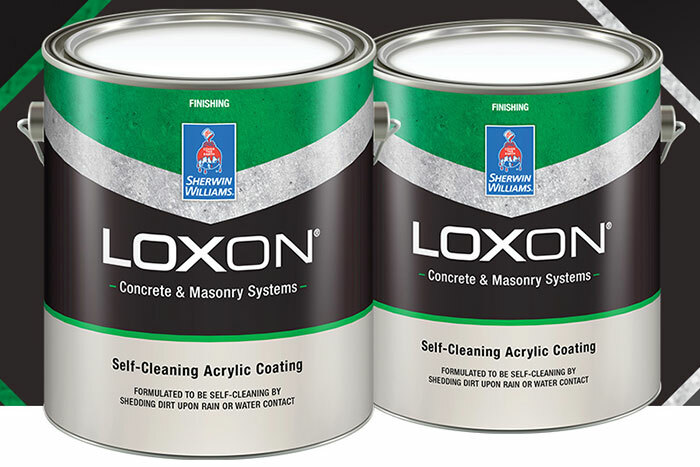 The new system consists of 19 Loxon and Conflex product solutions, conveniently color coded to specify each use. The updated approach offers a different look for the same trusted products. Preparation products will now be noted with a blue chevron at the top of the label, with finishing products in green and specialty products using purple. Sherwin-Williams concrete and masonry products are formulated to comply with the most stringent VOC regulations while providing maximum quality and durability. For more information and to view Sherwin-Williams Essential Guide to Concrete & Masonry, visit swconcretecoatings.com. 101 Prospect Avenue N. W.